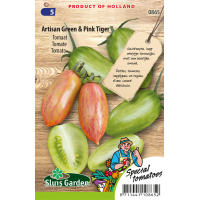 Contains 2 separate packets, each with 8 seeds, one with Artisan Green and the other Pink Tiger F1. 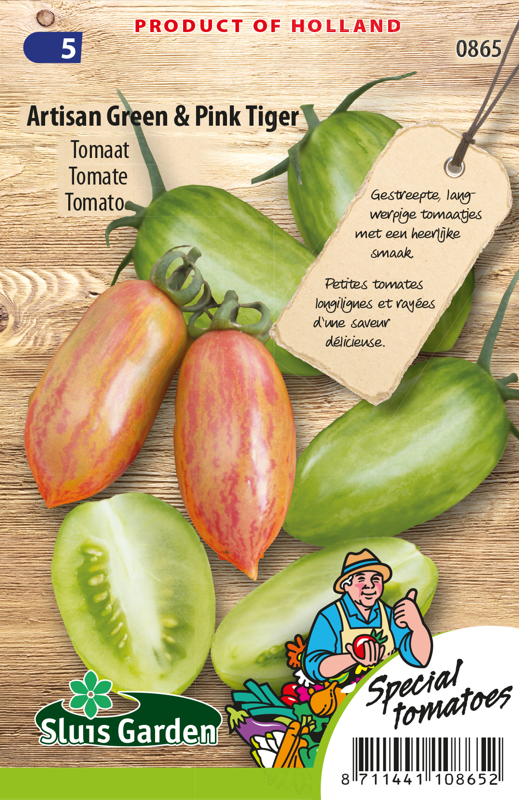 The approximately 20 gram, 5 cm elongated Roma tomatoes are beautifully striped, crack resistant and have a wonderful sour taste. The great taste and beautiful flesh are particularly suitable for your salads. Healthy plant with good resistances.